According to the IDC, sales of smartwatches globally declined an absolutely catastrophic 51.6% in the third quarter of this year versus the same time frame in 2015. While there are several mitigating factors at play, this is even more staggering than the numbers from the previous quarter, in which sales dropped only 32% ("only") year over year. Unsurprisingly, the majority of the bleeding comes courtesy of Apple, which just released its newest Apple Watch devices. Those new watches were only on sale for two weeks in the third quarter, so their impact will likely be felt more in Q4, though I'm really not sure by how much. Add to that an aging lineup of Android Wear devices from LG, Motorola, Huawei, and Sony, and things start making sense. But even with aging products, such a huge sales decline is far from normal - it means the market for these devices really isn't growing much. This is especially bad for smartwatches, which many manufacturers have billed as relatively long life-cycle products (though I'd tend to call that a marketing fiction) that shouldn't suffer dramatically from the "this year's model" showroom problem that tend to face devices like smartphones. Android Wear 2.0's delay certainly isn't helping things, though, and Samsung's well-received Gear S3 has yet to be released for sale. But here's the thing: if smartwatches were the big breakout product they've been billed as again and again - the hardware sales engine meant to combat stagnating phone growth - more companies would be trying to get in on this. As is, aside from a few fashion brands like Nixon and Fossil dipping a toe in the Android Wear pool, nobody really seems all that interested in releasing a bunch of smartwatches. Probably because they don't sell very well. Now, some may call this a classic chicken and egg conundrum - no watch sales, no compelling apps; no compelling apps, no watch sales - but it feels very much like smartwatches had their momentum "moment" and... pretty much totally blew it. Fitness wearables have proven to be more resilient in the marketplace, because the big winner on the IDC's market share chart isn't Apple or Huawei: it's Garmin. Garmin shipped an estimated 600,000 smartwatches in Q3 2016, over half as many as Apple did in the same period, giving it the #2 spot globally on the IDC's top five manufacturer ranking. Below it sit Samsung, Lenovo, and Pebble - the latter two shipping around 100,000 smartwatches each in the quarter. That means only one Android Wear manufacturer is even on the list, and its sales are basically negligible (Huawei, despite being the darling of the Wear community, doesn't even get a spot - not exactly confidence-inspiring). The new Apple Watch will likely give some added steam to the Q4 numbers when they're released, but there's nothing we're going to see from Android Wear before the year is over that will change the fortunes of the flagging wearable OS. 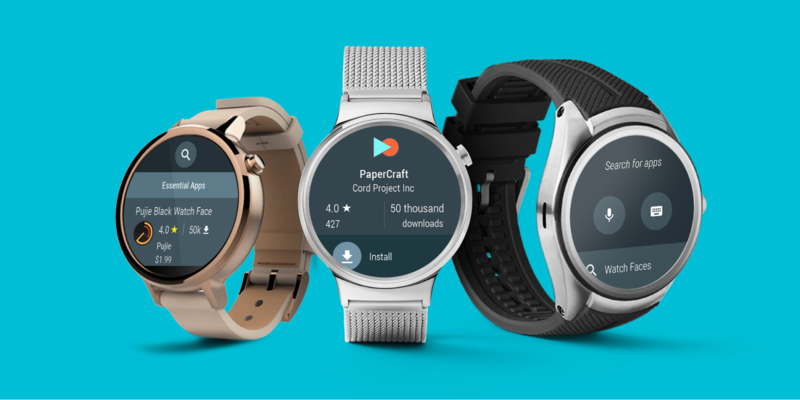 Android Wear 2.0 will be released in 2017, and alongside it two Google-branded smartwatches that may very well be Google's last-ditch effort to save a platform that, frankly, has consistently failed to provide a compelling reason to exist.